Date posted: May 19, 2014 by: JasonDarkX2 Category: Gaming 2 comments. So apparently Far Cry 4 developed by Ubisoft Montreal was officially announced last Thursday May 15, 2014 on UbiBlog. I didn't even know it was officially announced until I was shopping at UPlay store over the weekend and saw a pre-order option on their store page. Much to my surprise, having recently finished a 100% play through of Far Cry 3 earlier this year for a game that came out in 2012 and having scored a bargain for Far Cry 3 on Steam Christmas sale 2013. I’d have to say Far Cry 4 on Nov 18 (NA) and Nov 20 (EMA) 2014 is certainly good timing for the game. Consider that I personally ran out of this to do in Far Cry 3. Not to mention those who played it back in 2012. If you haven’t learned “the definition of insanity” there’s still time catch up on Far Cry 3. Since you can get it for $6 or less digital during sales and experience the game of a lifetime. Anyways what can we gather about Far Cry 4 as of now is not much really. 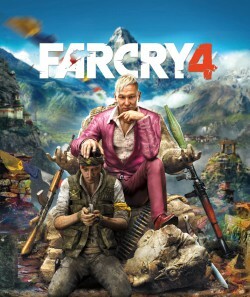 Other than the usual it’s a beautiful first person shooter open world action adventure game; this time taking place on the island of Kyrat an unclaimed region ruled by the self-proclaimed King and no info on the protagonist as of yet. But my speculations on Far Cry 4 would be this unknown protagonist would be caught or forced into a bloody conflict with this King. Fighting alongside rebel alliance of the island and portraying the theme “The definition of democracy…” lol, yeah that’s just my lol 2 cents. But it’s assumed they’re continuing the definition of insanity. If you have played Far Cry 3 you might already have an idea where Far Cry 4 is headed. With that said I’m super excited for Far Cry 4 can’t wait to see more at next moth E3. Might consider picking this one up on release day, might as well pre-order it while still on Uplay Store page. OH YEAHH!!! bought FC3 on steam sale loved it then they go announce Far Cry 4 fist pump Yes!